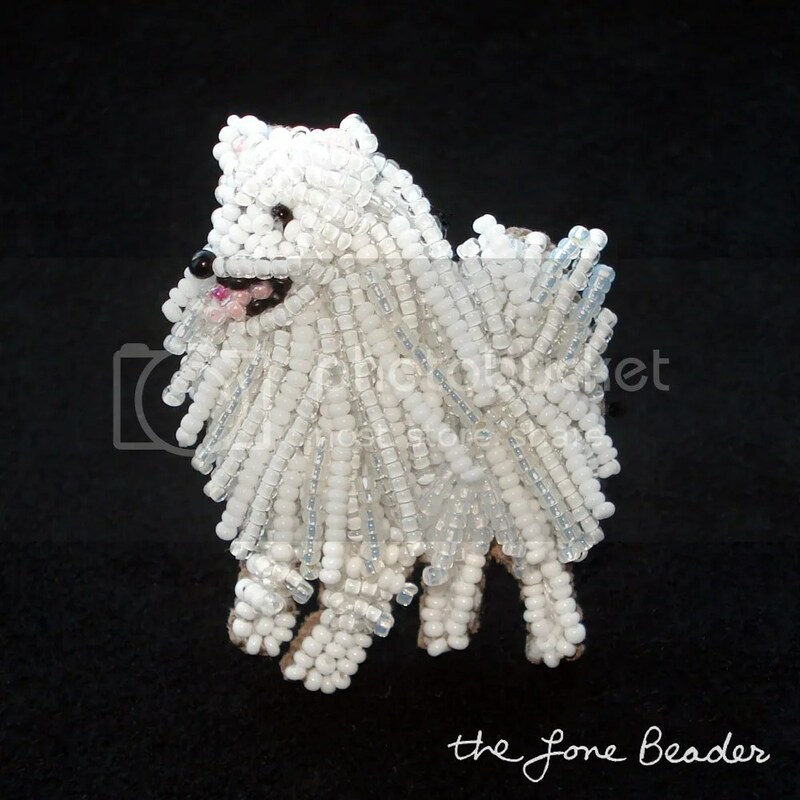 This week, a Facebook friend suggested that I make a beaded American Eskimo Dog pin and I was up for the challenge! First, I traced my sketch onto a piece of Lacy’s Stiff Stuff. I don’t usually use Lacy’s, but I have begun to use it for the first layer of my beading foundation when working on something very small & detailed. 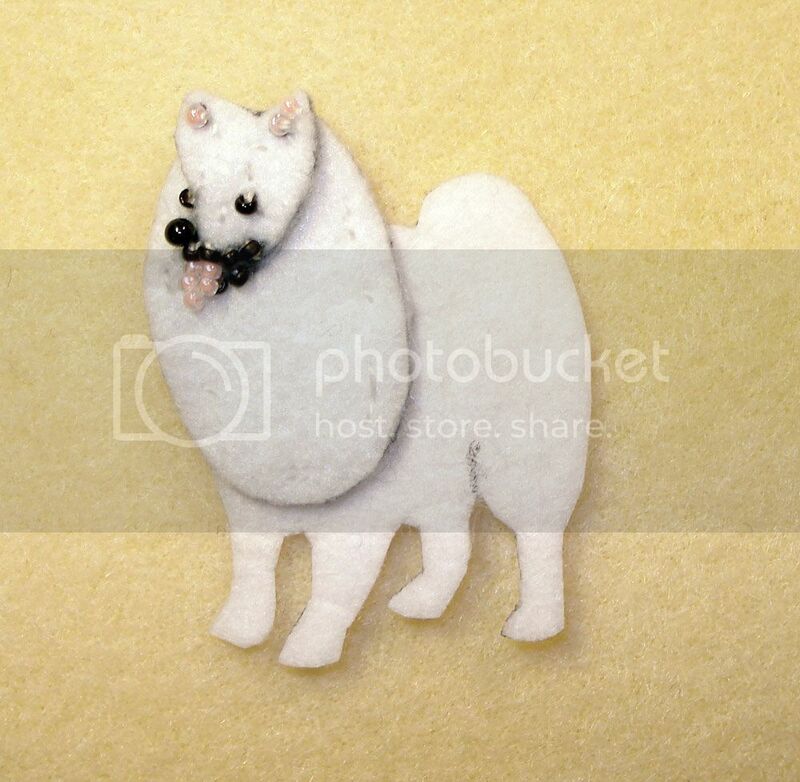 I actually prefer to use felt because it’s easier to manipulate, but for details, such as the tiny legs on this dog, Lacy’s is easier to cut to shape. Then, I cut a few more layers of felt and stitched them altogether. Next, I stitched a tiny glass taxidermy eye for the nose. Then, I stitched tiny size 15 Japanese glass seed beads to the foundation. I always start with the face, as that is the most difficult part. It gets easier from there, but still time-consuming! As you can see, this requires quite a lot of stitches using needle and thread in a very small space (3cm x 4cm)! 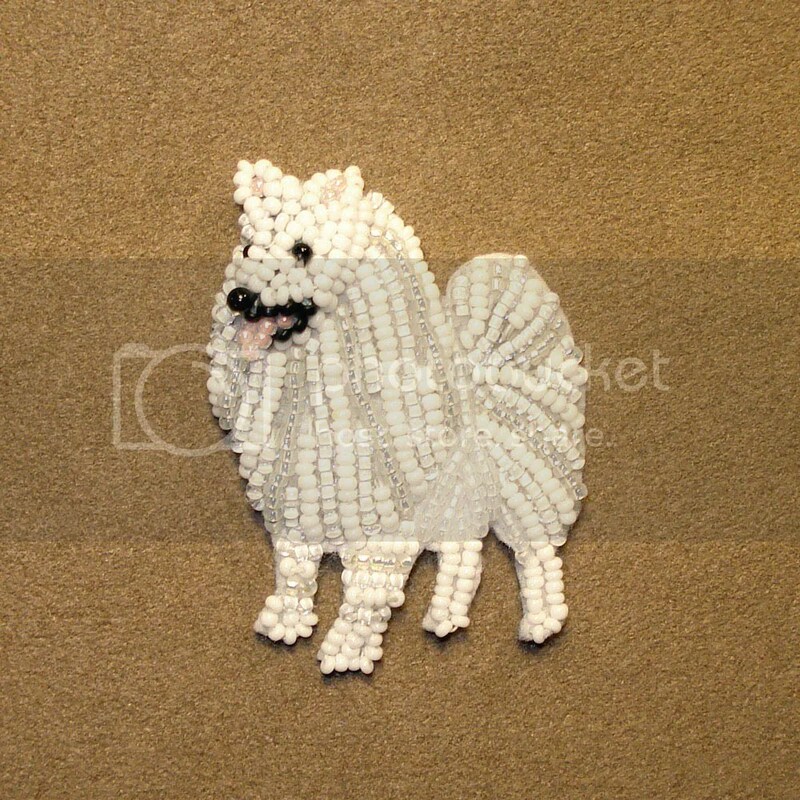 After I completed the first layer of beadwork, I stitched on a layer of beaded fringe (over the other seed beads) to add movement and realism to this tiny canine. 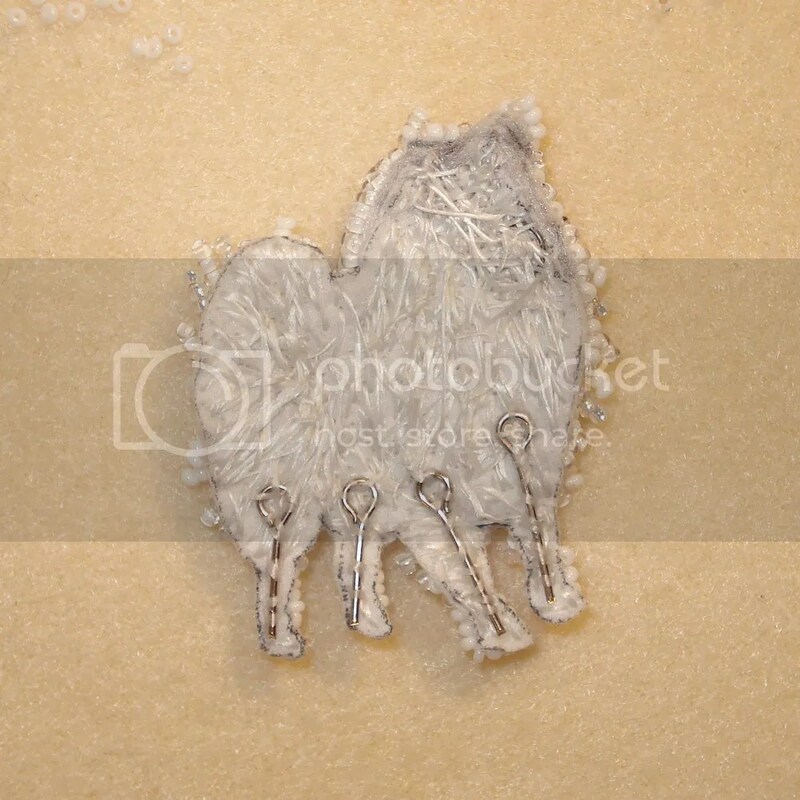 Then, I stitched eye pins to the backs of the legs for added support. When the process was complete, I added an Ultrasuede backing. Looks brilliant, good idea using the eye pins for added support. This is such an amazing piece! I love small intricate projects too though lap stitching projects seem to be more toddler friendly around here! Thanks for sharing your work.